Samsung Galaxy Y runs on Android OS and one of the best phone in Android series because it gives value for Money and it's cheap. You must have got bored of Installing and uninstalling apps on your phone. Also this effects your phone memory and slow downs your Mobile such as your mobile will get hang when you press Keypad Button and other apps. If your Galaxy Y has become Slow, unpredictable or Unresponsive then Don't worry Today I will show you how to make your Samsung Galaxy Y run faster and format all unwanted apps and Installing clean apps on your phone. Step 1 :- Press the Volume Up and the Menu key at the same time. Step 2:- Now, while pressing Volume & Menu,Press the power Key to turn ON your Phone. Step 3:- You will see the factory reset screen. Step 6:- Now select Reboot System. It will take some time to reboot Don't worry, After Few minutes your Phone will be New Mobile as you got it earlier while Buying. Reset your settings to the factory default values and delete all your data. 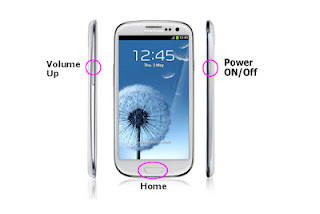 Use this method to reset your Samsung Galaxy Y GT-S5360: Enter *2767*3855#.